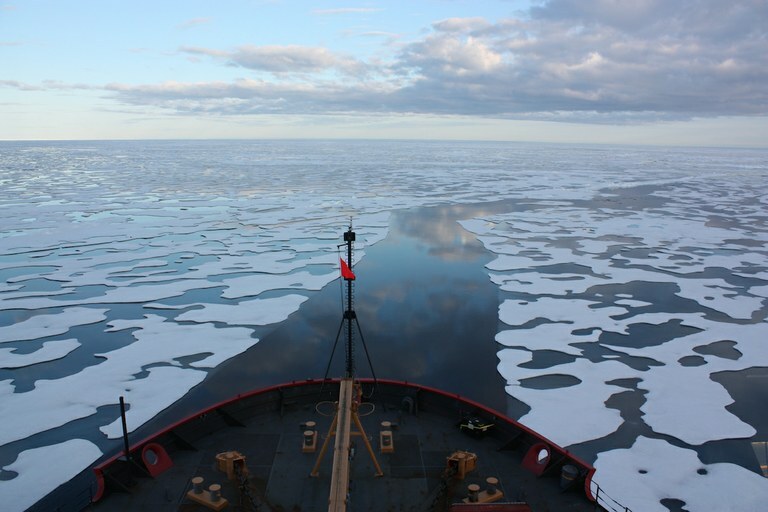 The U.S. Coast Guard Cutter Healy in the Beaufort Sea, northeast of Barrow, Alaska, on a research mission to collect ice data. Scientists from all over the world contributed to this report, with studies analyzing 21 different events in 2016, from US snowstorms and South African drought, to ocean hot spots and Arctic warmth. Only six of the 27 papers in the report did not point to climate change as a significant driver of extreme weather events. When scientists try to assess the role of climate change in an extreme weather event, they attempt to calculate its likelihood with greenhouse gas emissions at current levels. Scientists then compare this result to a “control” model, which is of a world unaffected by human climate change. All the papers submitted to the report are selected before editors know whether human-caused climate change influenced the event. But, says Herring, some events, heat waves, for instance, are easier to connect with the phenomenon than others, like tornadoes. Complicating matters in 2016 was El Niño, the periodic warming in the eastern and central tropical Pacific waters, which figured prominently in weather patterns and atmospheric conditions. One paper found that human-caused climate change strengthened El Niño in the central equatorial Pacific Ocean. South Africa’s drought and food scarcity, another study concluded, was worsened by climate change-enhanced El Niño. During a time when many in power challenge the notion that human activity contributes to climate change, Rosenfeld said scientists have known for years humans are changing the risk of some extreme events. Now, they have more compelling evidence.